You are able to access easily to famous spots and popular places among locals. Asakusa has different faces at a night and day time. 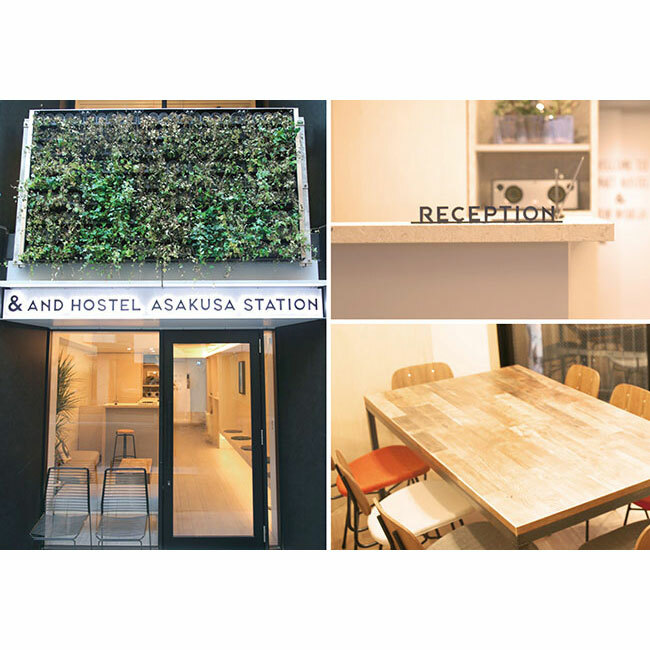 Would you like to start the greatest trip with us here in &AND HOSTEL ASAKUSA. We have 3 type of rooms. All rooms could fit the way you would like to stay. You can choose a room how you like. Double bed come with IoT technology. We will serve you a rental phone for electronic devices control. Please enjoy comfortable smart life. Private Room with bunk beds. This room has huge space which is good for organize your luggage.also good place for stay with families and friends. It is a dormitory room for 4 people in 1 room. This room come with a shower room. Also It can be used as a family room for 4 people. We have a common area on the first floor and 9th floor. You can make yourself comfortable like your home. There are body wash shampoo and conditioner in our shower room also we have a service that you can rent a towel at reception. 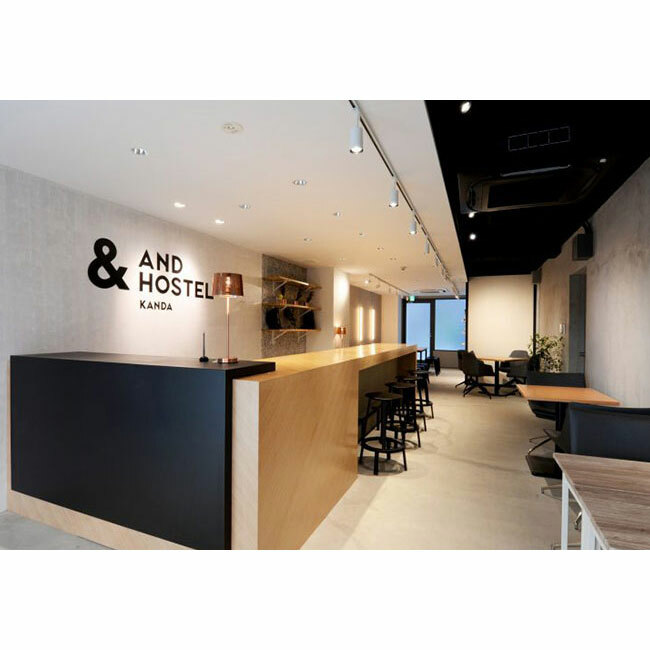 you can experience at &AND HOSTEL. 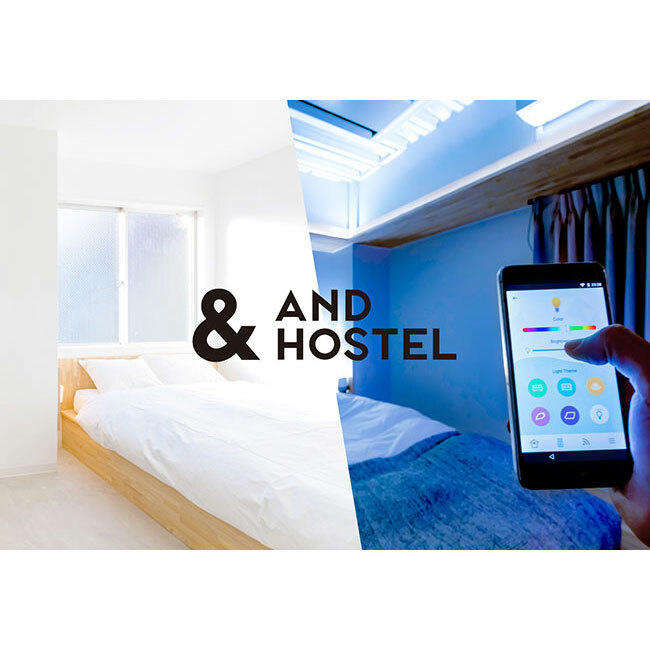 &AND HOSTEL is the smart hostel which can "connect to the world". We provide the smart life with advanced technology. "A smart phone" can become a key, lighting, and air conditioning. Also it brings you a comfortable stay. A new world will broaden your horizons. regardless of your nationality, culture, and view. &AND HOSTEL treasures every encounter in your journey. We will support to discover your new experience. for all of you to connect “people to people". Note: We do not have our own private parking. The Company, the operator of &AND HOSTEL (the “Hostel”), will comply with laws and regulations concerning the protection of personal information and hereby explains its handling and protection of personal information relating to the business of operating the Hostel as follows pursuant to the provisions of the Act on the Protection of Personal Information. - to handle any other matters incidental to the preceding items. 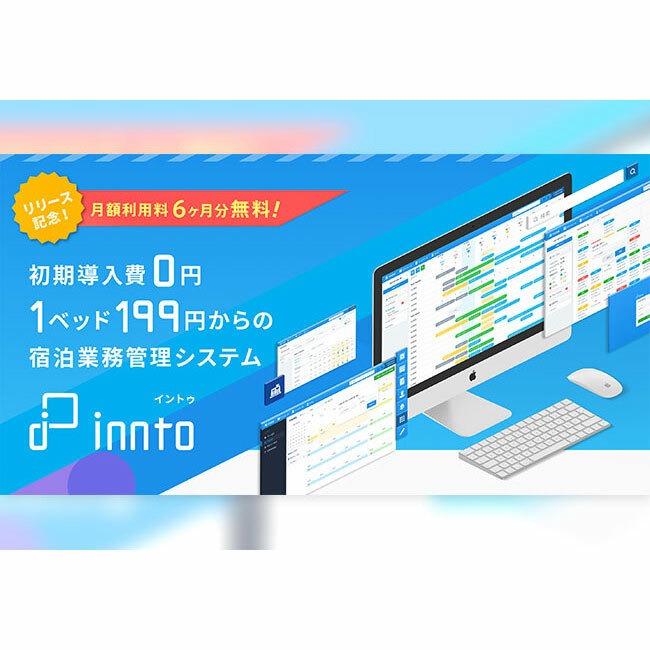 The Company will regularly give training to its employees regarding the protection of personal information and will strictly manage the personal information of its customers. The Company will implement necessary measures to securely manage the databases and other materials of the Hostel. When outsourcing all or part of the handling of personal data held by the Hostel, the Company will execute necessary contracts to conduct appropriate management and supervision. The Company may share personal information in accordance with the following. - for any other matters incidental to the preceding items. 1．When a customer requests the Company to notify the customer of the purpose of use of the personal data of the customer held by the Company or to disclose, correct, add to, delete, or cease using that data, the customer must send a request form with documents necessary for identification (in the case of an application made by the customer’s agent, documents necessary for confirmation of status as its lawful agent) to the contact described in (6) below. If this method is not used, the Company will not accept the request of the customer. Please note that the Company will not return the request forms or identification documents received from customers. 2．Upon receipt of a request pursuant to the preceding paragraph, if the customer’s identity is confirmed, the Company will disclose the personal information to the extent reasonable. (The Company may charge such fees as may be separately stipulated by the Company.) However, this shall not apply to cases where the Company is not required to disclose the personal information under the Act on the Protection of Personal Information or other laws and regulations. 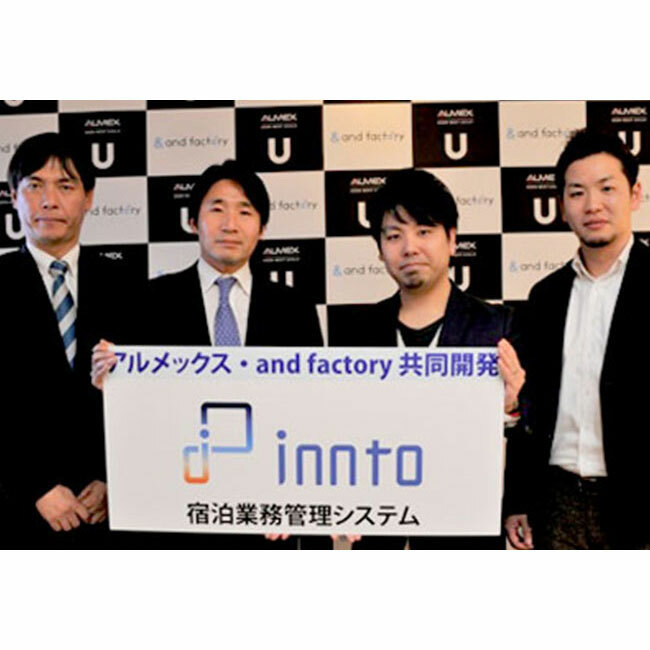 and factory, inc (the “Company”) will firmly reject any involvement of anti-social forces in the business of the Company and will not commit any act that would encourage their activities. The whole Company will stand firmly against these forces under the following basic policy. 1. The Company will take company-wide actions against anti-social forces and ensure the safety of its employees from anti-social forces. 2. The Company will establish close cooperation with external specialist organizations in order to prevent damage due to anti-social forces. 3. The Company will have no relationship with anti-social forces, including business relations. The Company will reject any unreasonable demands made by anti-social forces. 4. The Company will never engage in backroom deals with anti-social forces or provide funding to anti-social forces. I agree to the above terms and request the service of the Hostel.